Add Philadelphia to that list of cities for photos to put in a scrapbook. In just a subway, bike or bus ride, you can get to a million different places that will get any photog excited about Philly. A person can never go more than one building without seeing how the old school architecture demands documentation. Historical sites on every street, from City Hall to Boathouse Row, tell the story of how Philadelphia came to be. 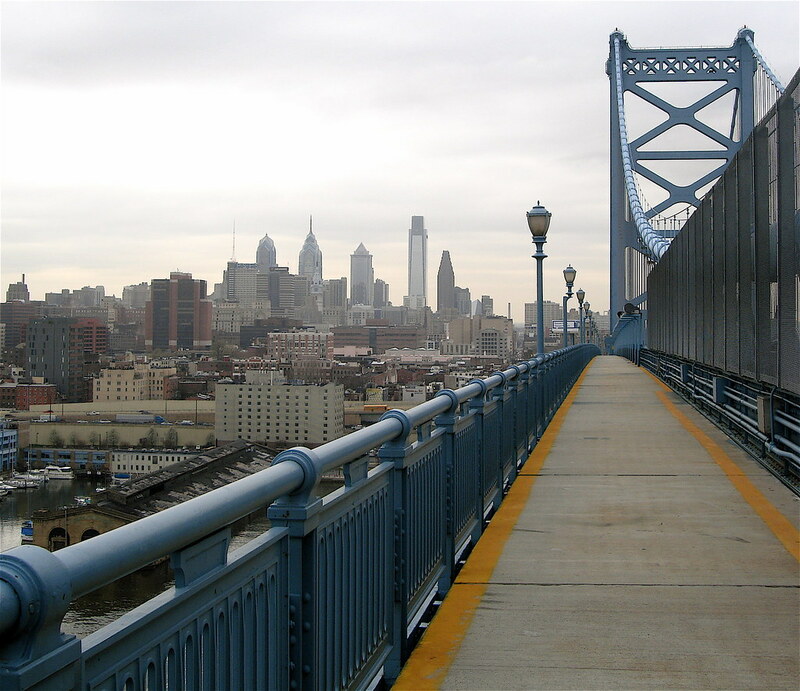 These 10 photography spots in Philadelphia will capture the brotherly love behind your lens. Start your photo journey in a place where history began: Independence Mall on Chestnut Street, between 5th and 6th Streets. The founding fathers signed the Declaration of Independence at Independence Hall. Go to the back of the building for a great framed shot of the tower with the iconic clock. Then walk out to the front to get a full wide angle shot of the entire building and grounds from the grass fields. Once finished there, go ahead inside to get some shots of the Liberty Bell and satisfy more of your historical photo fix. Not too far down the road sits an old-time street named Elfreth’s Alley. 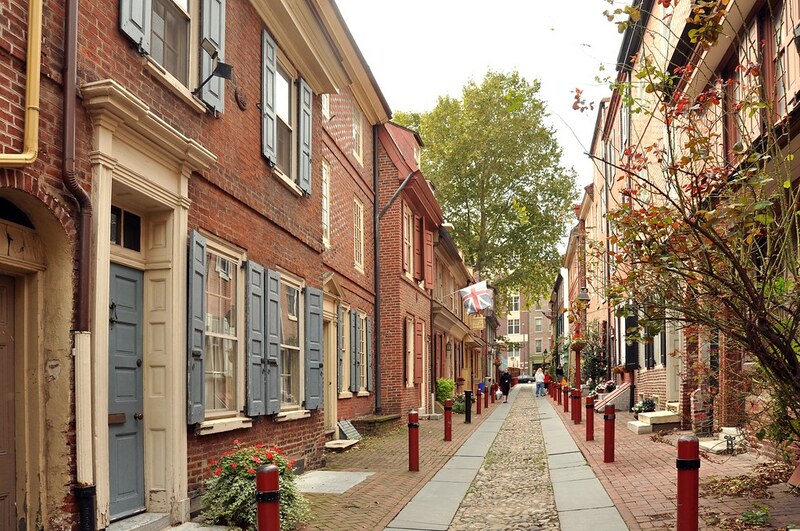 The street remains unchanged from 1706, but did not originally feature in the modern designs for Philadelphia. Now the side alley at 2nd Street makes for a fun place to experience how people lived in the early 1700s. Photographers love the architecture and old signs that create amazing black and white photos. People can sit and pose on door steps of houses where British soldiers would stay. Stop in one of the oldest hand-crafted wood working shops in history and get some great photos of chairs and dressers from the early 18th century. Anyone who travels back and forth from Philadelphia to New Jersey knows the Ben Franklin Bridge. Businessmen and women commute back and forth and in and out of the city every day. Sure, it seems like just another bridge but it can make for quite the photo opportunity. People can walk up on its sidewalks and look back to snap some sky-line photos of the city at sundown or sunset. “Get up early on a weekend, go to the bridge and the light hits the city perfectly,” Temple University junior Mohammed Alkhalaf said. Get up early and go snap a photo that will captivate the entire city. If you visit Philadelphia, everyone will tell you about City Hall and Dilworth Park. Located right in the middle of the city, it provides so much more than just the repeated photo on the divider in the middle of Broad Street. People from all walks of life come together here: tourists, doctors, lawyers, you name it. “I love going down and listening to all of the musicians that play there. It’s everything from guitar, ukulele, saxophone and the trumpet,” Drexel University sophomore Jennifer Duong said. City Hall captures the diversity of Philadelphia so go for a project on cultural differences. Even the people watching in this area provides the potential for someone to snap a great picture. Everyone comes to the city and wants to shop and Rittenhouse Square provides all the shops for you shopaholics. The public park known as Rittenhouse Square shows all the character of the area in just one small part. People walk their dogs there on nice days, set up blankets for picnics or just bring a frisbee to toss around with friends. They also use this park for the fountain in the center—it provides a picturesque backdrop for people taking wedding photos or even general portraits. Maybe even take some portraits of dogs while there… because who doesn’t love dogs? We know you recognize this place because of one name: Rocky Balboa. The Art Museum stands as one of, if not the most recognizable, places in Philadelphia. In the films, Rocky runs up the steps to the museum to the triumphant music that just makes you feel like you can do anything. People constantly go there to run the steps and feel like the famed boxer. The amazing architecture and designs on the pillars and walls of the museum make for some great close-up photographs. Take a little walk around the museum grounds and you can find tons of intricate statues and sculptures that make for great subjects in photos. Once inside, the theme of giant pillars and ancient Greek architecture continues. Around every corner a statue stands just like the ones outside, all of them handmade and beautiful. Who doesn’t love live music? South Street’s reputation for bohemian, punk and a generally alternative style will not disappoint. The little boutiques and shop where hipsters go to hang out catch the eyes of people walking. Walk around and you can never go more than a block without seeing a beautifully painted mural. Glass murals that spell out south street make for great photo opportunities. Walls that show pictures of past African American civil right activists tell great historical facts. The Philadelphia Magic Gardens, another huge tourist attraction, also sits on South Street. The glass and painted murals along the street make for some great photos that connect the old roots of Philadelphia with the new young generations flooding the city. Everyone wants that birds eye view from above. They want to feel on top of the world and like they can do and see anything. One Liberty Observation Deck provides that for photographers in Philadelphia. This 883-foot-high observation deck towers over the other buildings in the city and people see it from everywhere. The overhead shots of Philly from here can captivate any visitor. From the 57th floor you can also get the shot of the iconic Billy Penn statue that sits atop City Hall. Christmas lights catch everyone’s eye when they drive down the streets during the holiday. The holidays happen all year around for anyone who drives the Schuylkill Expressway. 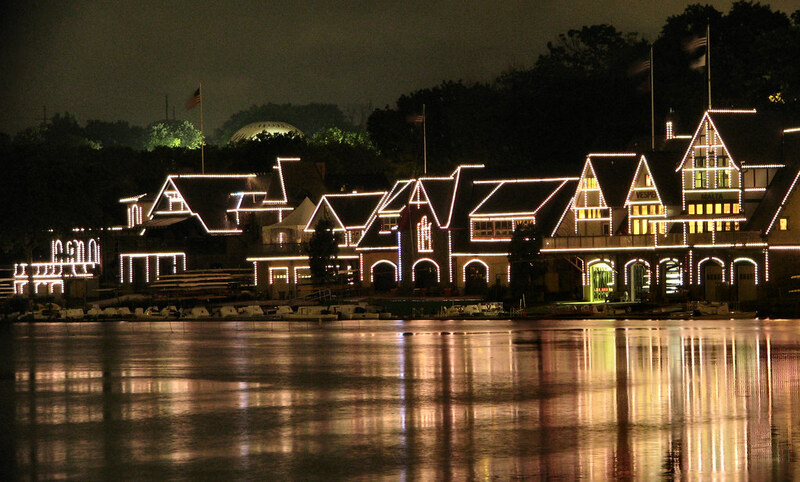 The bright lights of Boathouse Row shine on clear nights and reflect off the water to make some fantastic mirror images. Go there at night and play around with the camera and see what happens. Put the camera on a tripod and leave the shutter open, zoom in and out on the bright houses and they will look like they jump out of the photo. People often associate classy and elegant with going to big cities. What better than to see classical music played by the Philadelphia Orchestra at the Kimmel Center. You can go and see a great performance while snapping a picture or two. The glass dome that serves as the roof provides some great abstract photos. The Kimmel Center also brings in some plays like the Phantom of the Opera and Mama Mia.